Tulsa OK residential properties face the harshest storms and hottest winters. Humid subtropical climates guarantee heavy rainfall is just around the corner. For this reason, Tulsa OK residents must always be ready for any possible property damages the storm might bring including knowing what to do if your roof is leaking. Unfortunately, roofing leaks is a difficult but inevitable event any Tulsa homeowners face. True enough, having enough buckets and power to move things away from leak spots will help you cope until your emergency repair contractors arrive. However, in case of long-running heavy storms and gloomy weather, do you know what to do if your roof is leaking heavily? 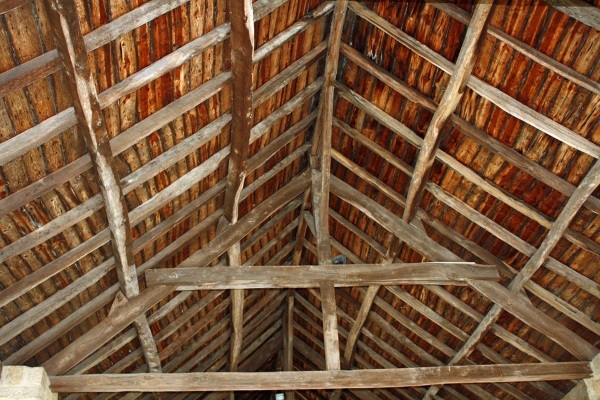 See if the roof is still worth repairing or is it time to replace them. Despite how prepared you are, you might forget what to do if your roof is leaking. Before anything, do not attempt to perform any repairs especially with strong, windy storms. You’ll need to take care of the welfare of your shelter and your belongings. Then, once you secure them, you can assess the roofing damage level and conduct short emergency repairs to prevent long-term damages until professional roof repair specialists arrive. Before anything, move everything in the leaking areas out of the way. If you wake up to a leak-soaked sofa, shove it out of the way of the leak. Don’t get frazzled with what to do if your roof is leaking. Calmly move things out of the way and let the leaks flow. If you can relocate your belongings to indoor areas with good ventilation, you can help your things dry up fast. If you can’t move the sofa, refrigerator, or other electronics in your property because of their weight, grab garbage bags or plastic sheets in your home. Still, try to push them out of the way as possible before covering them with the bags. To make sure the objects dry up even with garbage covering, allocate a small breathing hole outside the path of the leak. You can also use tarpaulins for internal leak management. Now that you have everything out of the way, grab any bucket and containers inside your home. Pails and pans will help. If you have used plastic bottles in your home, cut them in half and situate them underneath the areas of the leaks. Any container capable of gathering water will be useful. Additionally, place a rug underneath each container if possible to contain any moisture that escapes from the containers. For most Tulsa homeowners, the leaks can be small and have mild flow. 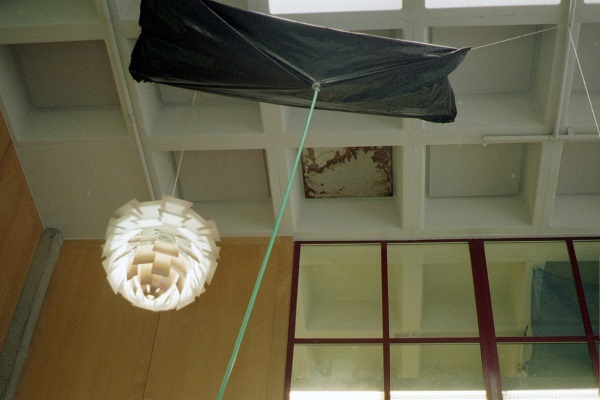 However, never forget what to do if your roof is leaking with huge bulges and bumps across the ceiling. Use a broom, mop, or any pole with a non-sharp or dull edge to poke the bulges. These are signs of pooling water. If you leave them unattended, their pressure places the roofing material under great duress and may create bigger internal ceiling damage. As you wait out the storm, take photos especially if you see the internal roof is incapable of handling the leaks. Because you knew what to do if your roof is leaking and did it well, you’ve done your best as your photos will show. Additionally, your photos will serve as strong evidence to trigger your existing roof insurance. After the storm, you can call your reliable roofing contractor to help you assess and claim your insurance benefits in full. If you see any pooling water in the areas of your internal roof, take care to get rid of it to avoid huge roofing damages. If the storm has gone for days, you’ll need to know what to do if your roof is leaking and providing shorthand repairs. Locate the roof leak from the inside of your home: It’s possible your plumbing, HVAC units, condensations, and other factors are causing the leaks. 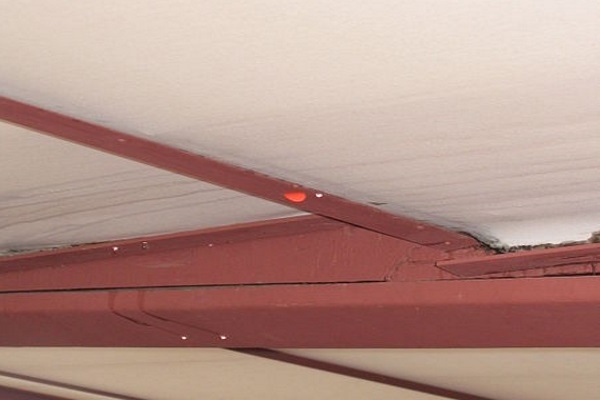 Look for damaged drywall: Sometimes, gaps between your structures will introduce leaks into your home regardless of the durability and capability of your roofing material. If you have thick, industrial-grade plastic sheets, tent material, or tarpaulins, you can use them to patch up any leaks on your roof. Nail them into the roofing material. These temporary shorthand repairs can only do so much in the upcoming storms. It is best to call a roofing contractor to receive professional repairs and prolong the lifespan of your roof. Unfortunately, some roof materials will sustain so much storm damage that they will need replacements. Here are some signs to help you see if you can still prolong the lifespan of your roof with repairs. Inspect your attics for visible signs of internal leakage. If you can head beyond your underlayment, do so for a thorough inspection. If your roof is below 15 years of age, then the leaks are likely gaps in the material or due to a small area of damage. Contractors can still save your roof with professional repairs. 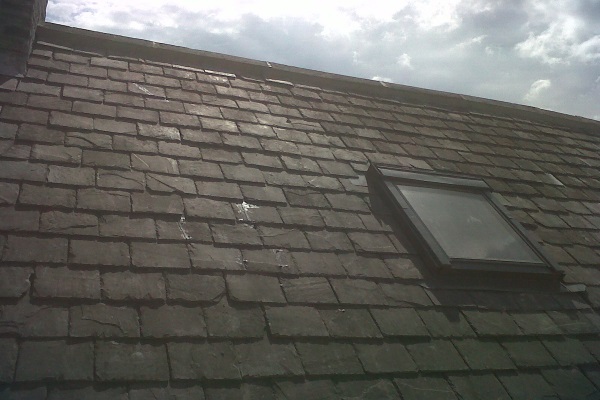 Asphalt shingle roofs with missing or damaged components are always subject to leaks. In addition, roofing underlayment penetration is the likely culprit if your external roof has no visible damage. On the other hand, underlayment damage is the primary culprit in modified bitumen and metal roofs because these two materials are unlikely to have external damages. Here are more signs to know if you need to repair or ultimately replace your roof. Tulsa homeowners should always know what to do if your roof is leaking and conduct repairs. Lastly, they should have the contact details of their trusted contractor to conduct repairs as soon as possible. Doing so avoids additional damage in the future. Did we miss anything? If you faced a strong rainstorm, how would you handle your roof leaks? Share it with us in the comments below!